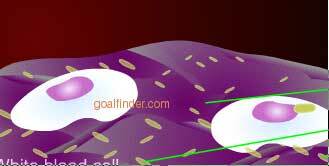 Animated science "Blood" : Blood is a strange fluid, it controls our life. The protein structure of blood enables it to perfom tasks like carrying oxygen to the parts. Our defense systems against infections are carried in blood. This human body animation gives in-depth information about blood, an important component of circulatory system. What are blood groups? List the types of blood group? Why is a person with type 'O' blood considered universal donor? Blood, is a fluid pumped by the heart that circulates throughout the body via the arteries, veins, and capillaries. An adult male of average size normally has about 6 quarts (5.5 liters) of blood. The blood carries oxygen and nutrients to the body tissues and removes carbon dioxide and other wastes. The colorless fluid of the blood, or plasma, carries the red and white blood cells, platelets, waste products, and various other cells and substances. Red blood cells are very small and shaped like tiny doughnuts each contains molecule of a red colored chemical called hemoglobin Red Cells give blood its colour and accounts for up to 40% of its volume. The main function of these cells is to carry oxygen from the lungs to all the cells of the body and remove waste products such as carbon dioxide. 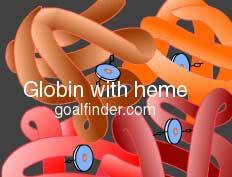 Hemoglobin contains the element Iron, making it an excellent vehicle for transporting oxygen and carbon dioxide. As blood passes through the lungs, oxygen molecules attach to the hemoglobin. As the blood passes through the body's tissue, the hemoglobin releases the oxygen to the cells. The empty hemoglobin molecules then bond with the tissue's carbon dioxide or other waste gases, transporting it away. White blood cells only make up about 1 percent of blood, but their small number belies their immense importance. They play a vital role in the body's immune system-the primary defense mechanism against invading bacteria, viruses, fungi, and parasites. They often accomplish this goal through direct attack, which usually involves identifying the invading organism as foreign, attaching to it, and then destroying it. This process is referred to as phagocytosis. The smallest cells in the blood are the platelets, which are designed for a single purpose-to begin the process of coagulation, or forming a clot, whenever a blood vessel is broken. As soon as an artery or vein is injured, the platelets in the area of the injury begin to clump together and stick to the edges of the cut. Blood clotting (technically "blood coagulation") is the process by which (liquid) blood is transformed into a solid state. 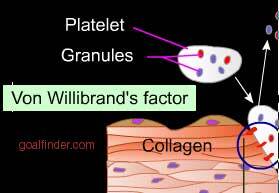 This blood clotting is a complex process involving many clotting factors (incl. calcium ions, enzymes, platelets, damaged tissues) activating each other. This is initiated by liquid blood making contact with damaged tissue. Both the intrinsic and the extrinsic systems involve interactions between coagulation factors. These coagulation factors have individual names but are often referred to by a standardized set of Roman Numerals, e.g. Factor VIII (antihaemophilic factor), Factor IX (Christmas factor). Prothrombinase (formed in stage 1.) converts prothrombin, which is a plasma protein that is formed in the liver, into the enzyme thrombin. In turn, thrombin converts fibrinogen (which is also a plasma protein synthesized in the liver) into fibrin. Ans: During the day the blood sugar fluctuates widely this is due to changes in exercise or activity level, Snacks and food timing, type and quantity. So after breakfast and lunch the sugar rises and then falls after two hours of meals, if snacks are taken in between it shoots up before it can reach a low. However during the night the beta cells in the pancreas can secrete insulin periodically in bursts for about eight hours, the lowest blood sugar of the day usually occurs around 2 a.m. Around 3 a.m., the liver converts the carbohydrate it has stored, (known as glycogen) into glucose, and dumps it into the blood stream. This raises the blood sugar, causing it to rise toward breakfast back to its normal level. Ans: Most T cells are made before birth or during the early years of childhood. As T cells are intended to last for life, the thymus undergoes a process during childhood termed thymic involution, in which fat gradually replaces functional thymic tissue. Researchers are experimenting with growth hormone (GH) enhances thymic function in aged mice. GH treatment markedly increased thymic mass, and appeared to double the number of newly made T-cells. Interleukin (IL)-7 and interleukin-2, or IL-2 are another potential enhancer of T-cell production. IL-7 enhances T-cell production by providing crucial survival signals to developing human T cells. Ans: Protein is one of three main constituents that are required for growth and maintenance. Plant source provide weaker or lesser amino acids as compared to animal source. Biuret test indicates the presence of protein in plant or animal sources. 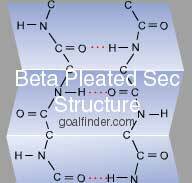 It requires the presence of at least two peptide bonds. Other tests are ninhydrin or Breadford. The Lowry method uses the reaction of protein with alkaline copper tartrate. It relies on the reduction of copper(II) ions to copper(I).The reduction of folin-ciocalteu phenol reagent primarily by tyrosine and tryptophan, and to smaller extent by Sulphur containing amino acid cystine and the imidazole amino acid histidine. A violet color indicates the presence of proteins. The intensity of the color is directly proportional to the protein concentration. Ans: Does it? We are not very sure about the shape affecting behavior of Vitamin K. Vitamin K is mainly known as the clotting vitamin, because without it blood would not clot. The principal overall effect of vitamin K is to shorten the prothrombin time. It helps to maintain the formation of normal prothrombin and factor VII in the blood and thus takes part in normal coagulation. When an injury occurs, these molecules rapidly assemble into proteins and form the blood clot. These proteins require vitamin K for their synthesis in the body. Ans: See we have covered blood and its composition in the animation but we have not covered the blood-forming organs or the blood diseases. Therefore, in that way we have covered hematology completely but only a part of it. Ans: A bleeding disorder where blood clotting is affected due to low number of platelets (40000 or lower instead of 150,000 above). The immune system malfunctions and attacks platelets as if they were foreign substances. The risk of bleeding increases, blood vessels below skin in lower legs bleed into pinpoint spots (petechiae). Nosebleeds, bleeding gums occurs. Acute occurs in children after viral infection, goes away in 6 months, chronic ITP lasts longer than 6 months and is more common in adults. 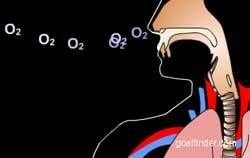 Ans: Oxygen the second one (left ventricle) pumps oxygen-rich blood to the rest of the body using the squeezing action of the extremely strong cardiac muscles that operate it 2.5 billion times without resting throughout the life and circulates blood around the body about 1000 times a day. Between the upper atria and lower ventricle there is a valve that allows the blood to flow in the correct direction. Ans: It is a myth that water taken during the meals dilutes the hydrochloric acid resulting in slow digestion, no study has been able to prove or disprove this, it is okay to drink water before during or after the meal, actually a glass of water every two hours is recommended for proper hydration of the body and about 2 liters of water intake per day is necessary. Ans: Biology is a visual subject and needs inspection and experimentation rather than learning by rote, studying the parts of plants in a book is different from actually handling a few real ones and inspecting them. However, since not everything can be accessed by you, take help of Internet and science TV channels like discovery and national geographic. Physics needs imagination and experimentation. Internet has animation and simulation to support both. Small experiments can be done at home too. Ans: Entry into most medical colleges is done based on entrance tests; strong concepts in subjects of biology, physics and chemistry are required, as tests contain multiple choice type questions. So a rote method does not work, understanding does. Hone your knowledge on the previous test papers or question banks available, appear for entrance tests of as many colleges as you can, scout around for opportunities abroad. Speak to those who have passed through to check whether the approach is correct. Ans: Antibodies are proteins. Large quantities of antibodies are found in plasma. The plasma proteins can be separated into albumin, alpha, beta and gamma globulins. As a group, antibodies are also called as gamma globulins, since they occur in that part of plasma. They are also called as immunoglobulins. In short, plasma protein gamma globulins are antibodies; not to be confused with plasma cells that produce antibodies. Ans: Though we have not used the term “Hemostasis” but have covered in our animation, vasoconstriction, primary hemostasis (platelet plug formation), and also covered Secondary hemostasis or coagulation. We will shortly add disorders of hemostasis - platelet disorders (Idiopathic thrombocytopenic purpura (ITP) ) and disorders of coagulation(hemophilia), this is right now under research. Ans: Hi Sreekanth, we suggest that you see a qualified “physical” Doctor to confirm if this reading should be a cause for concern, we are not in a position to advice you; nothing works better than a physical examination. Secondly, a collective inference drawn from the full report will give a true picture rather than a single reading. Ans: It increases with RBC inflammation: 1-hour test, measures mm the top of the RBC layer falls in 200 mm tube leaving blood serum visible above. 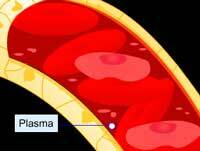 Forces opposing rate: negative charge on rbc, their rigidity, plasma upflow. Forces supporting are anaemia, and plasma proteins. Normal values: Men: 0-15 mm/hr, Women: 0-20 mm/hr. Elevation of the ESR indicates infection : temporal arthritis, rheumatoid arthritis, Hodgkin's disease, heart failure. A decreased ESR: RBC irregular or smaller shape. Ans: Rh Factor is a presence of a protein on surface of human RBC, discovered while studying Rhesus monkeys by K. Landsteiner in 1940. Present in 85% people in the world. Its presence or absence has no bearing on health. But when Rh+ and Rh- are mixed in an individual problems arise, as the Rh factor causes the production of antibodies. Example : erythroblastosis fetalis in a baby if the mother's Rh negative blood attacks baby’s Rh positive blood. The (+) of AB+ or (– )of AB- denotes RH group. Ans: Plasmodium, a malarial parasite, has to traverse the midgut epithelial cells of Anopheles mosquitoes. Cellular structure of the midgut is similar in males and females. But its protein profiles differs in males and females, of 375 proteins identified, a 2-D gel electrophoresis reveals that 10 of them are specific to male midguts while 23 proteins were specific to female’s. Of which 10 were specific to blood ingesting females. A midgut peptide1(SM1)-binding to the luminal side plays a major role. Ans: Cells have complex proteins and glycoproteins on their surface membrane that act as recognition devices. These molecules are called antigens or immunoglobins. Rh factor, is technically the D antigen and is the Rhesus blood group system involving the Rhesus D gene, Rh antigens are polypeptides embedded within the phospholipid bilayer of the membrane of RBC, spaced in a lattice-like pattern. Rh polypeptides are polymorphic and are 92 nm in Rh(D) heterozygotes and 64 nm in homozygotes. Ans: As per the the National Hemophilia Foundation's (MASAC) recommendations in 1999. 1) For mild cases, Stimate, desmopressin acetate (DDAVP), a nasal spray or injection 2) For patients unresponsive to DDAVP viral-inactivated factor VIII preparations rich in von Willebrand factor such as Alphanate, Humate-P and Koate DVI are recommended. Please refer to a physician for proper treatment guidelines. Ans: The science of life that studies living organisms and their characteristic life processes and phenomena such as their structure, function, growth, origin, evolution, and distribution. It is a branch of knowledge which treats living matter as distinct from non-living one . It includes all the plant and animal life of a particular region. It is subdivided into botany and zoology and further into their subdivisions. Ans: Except for the function part the name and composition of each element in blood is given in a tabular format in the animation, but you will have to either subscribe or buy the animation to access it. We will put it up shortly as an article on the site for free access, but it might take a week, do check back again. Ans: Ankle(a synovial hinge joint) - deltoid ligament, is in shape of the Greek letter delta and has four parts (anterior tibiotalar, tibionavicular, tibiocalcaneal, posterior tibiotalar). Hip Joint (a synovial ball and socket joint) - capsular ligaments (iliofemoral- inverted "Y", pubofemoral, ischiofemoral, zona orbicularis); Knee Joint - intracapsular (anterior & posterior) and collateral ligaments (capsular - tibial, and extracapsular - fibular). Calcaneonavicular (spring) ligament in foot arch. Ans: Cause 1 : Synovial fluid – Body produces it to lubricate joints, unnoticeable inflammation of joint regularly happens due to stress and exercise, due to which body may absorb the water from the fluid, this leaves the fluid concentrated with sodium urate and a crystal formation can take place. 2) : Cooler joints: The MTP joint, mid-foot, ankle, heel, and knee joints are most affected as these are on the extremities and are cooler than hip or shoulder ones ( rarely affected by gout). Ans: Excess glucose is also quite likey to cause hypoglycemia, when high levels of fast metabolic sugars (sucrose, dextrose, glucose) are introduced into the body, The pancreas overreacts and secretes too much insulin, that pushes even more blood sugar out of the blood, the amount of glucose leaving the blood is then greater than the amount coming in as there are no other nutrients to sustain our blood sugar. The net effect is the blood sugar level becomes too low causing hypoglycemia.